​ ​DALLAS – Construction has completed on The Case Building—the tallest building in Deep Ellum. 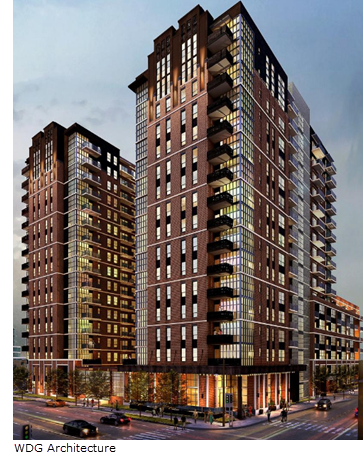 The 17-story, 337-unit luxury apartment tower at 3131 Main St. gives the historic Dallas neighborhood its first high-rise community. The Case Building will have amenities such as co-working spaces, a catering kitchen for entertaining, private resident bar, fitness center, and a pool deck. ​Check out DFW Multifamily Market Research.